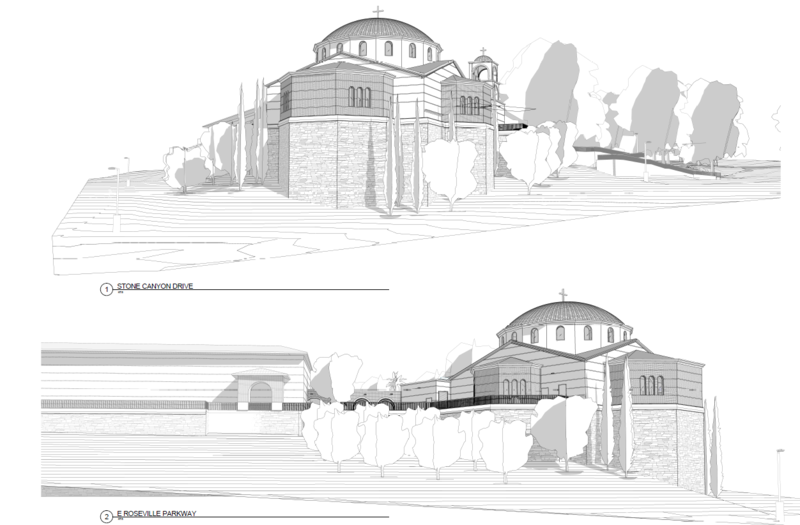 In August of 2018, construction will begin on the new formal sanctuary building for the Saint Anna Greek Orthodox Church in Roseville, CA. After many years of fundraising and a completed Master Plan by Lionakis that focuses on sustainability, parishioners will finally see this building come to life. 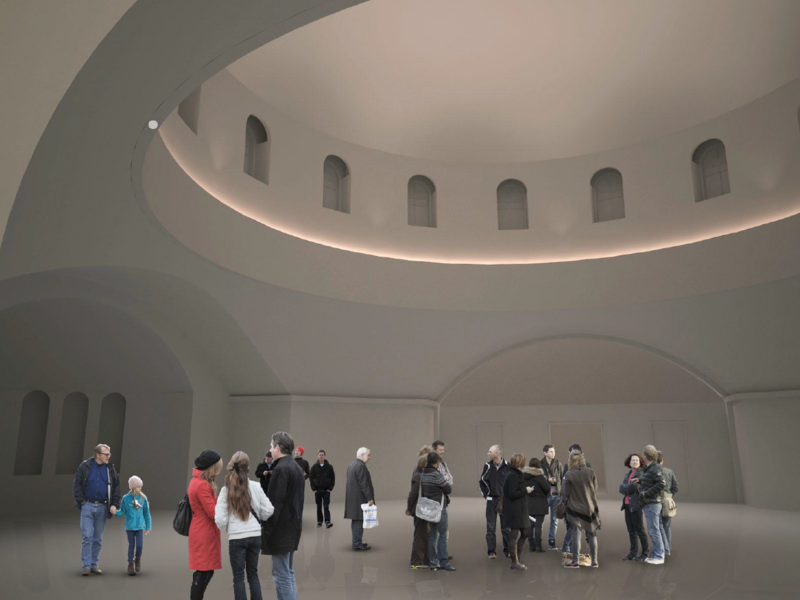 With construction anticipated to be on a 12 month schedule and with an atypical site and style of building, there is much more to come for this prominent structure and community landmark. Project Principal, Nick Docous, and Project Architect, Jake Elliott, will be sharing the process of this developing project with us in a series of ongoing focused blog posts. First focus? Sustainability. 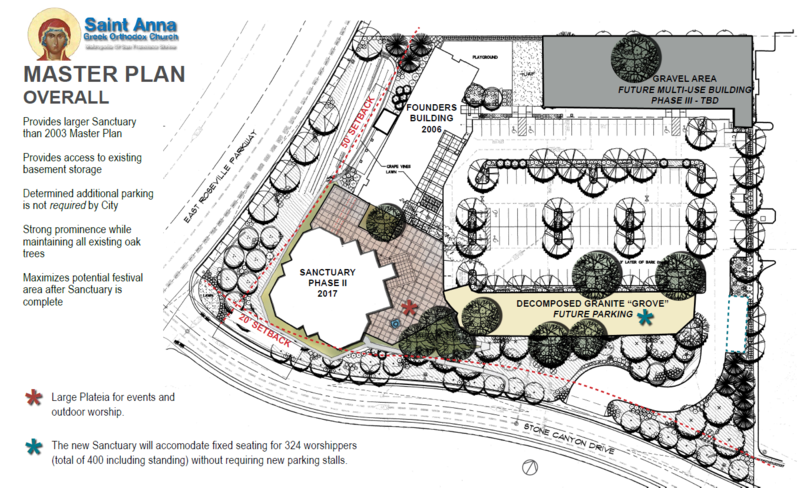 The Sustainability Master Plan is a layer of the overall Master Plan and Saint Anna is setting a good example not only for parishioners, but for the City of Roseville. Sustainable development is defined as meeting the needs of the present without compromising the ability of future generations to meet their own needs. The parish will look at incoming and outgoing resources to find ways to be self-sustaining. Some of the ways they are doing this is by having vineyards and olive groves on site – they will produce the wine and oil used in church ceremonial practices and all will take part in the growth, care and cultivation of the land. The parish values that the site is conducive to growing grapes and olives. 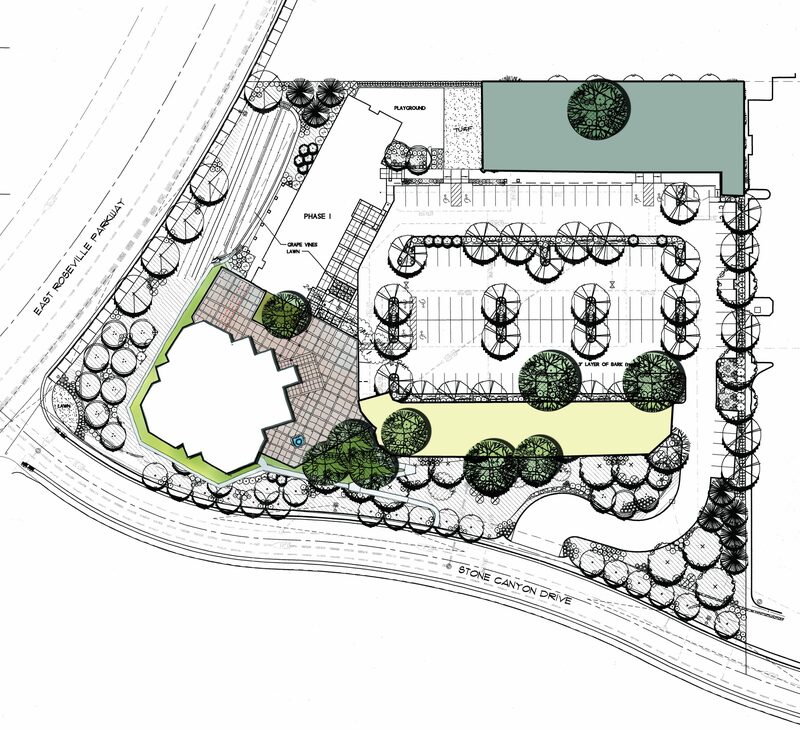 It is noteworthy that the design also includes the preservation of heritage oak trees – previously slated to become an additional paved parking area. The idea came about during a Greek Festival celebration and the attendees noted how valuable the space was to them for providing shade and a nice space to gather for events. 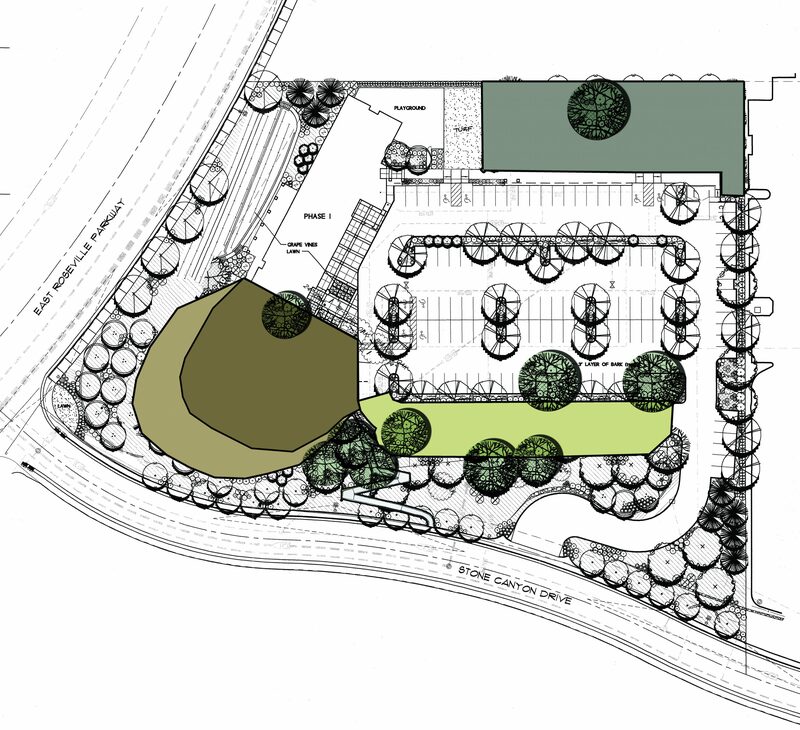 The future vision is to expand what can be grown on site to include such things as citrus, palm, bay leaf, rose and lavender – all of which the parish currently purchases for ceremonies. They would also like to be able to incorporate community garden spaces and potentially, raised garden beds. There is an educational benefit of a self-sustaining site in that parishioners (especially little ones) can gain an understanding of the process and work that goes into producing the food we eat and learning to care for the earth that provides the nutrients for the produce. There is a vision for the parish that includes collecting rainwater in cisterns on site for use as irrigation for the grapes and other vegetation. Considering the landscape and drought conditions California currently faces, this focus is appropriate and likely an approach that the surrounding community and the city of Roseville will look upon favorably. Indoor water use will involve the selection of low flow, high efficiency fixtures in the future buildings to further conserve limited water resources. Balancing the desire for energy efficiency and aesthetics are important. Lighting, HVAC and the building envelope are all important areas of consideration. The parish would like to see the use of renewable energy on site as part of the process of moving towards its self-sustaining vision. Solar water heating and Solar Photo Voltaics are of particular interest. The 3 R’s of sustainability are to reduce, reuse and recycle. Reducing waste begins with good design. 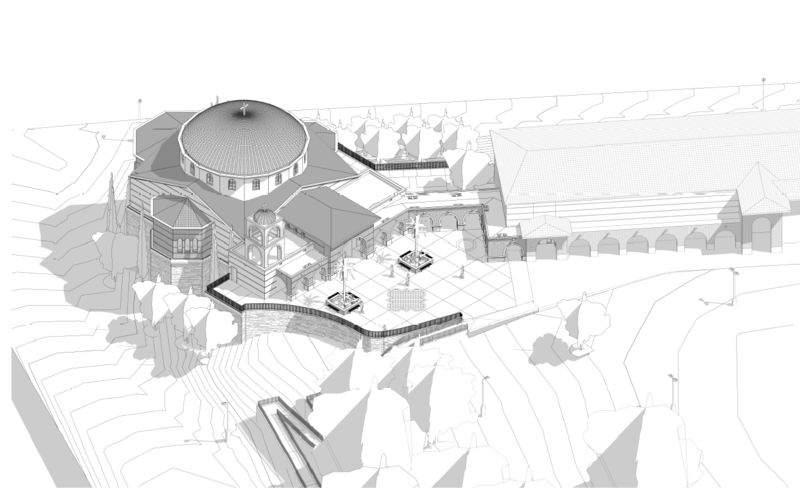 Good design includes sustainability and designing towards both the present and future needs of the parish that will ensure the building will be able to serve its purpose for many years to come. Designing a sustainable, durable building using Insulated Concrete Form (ICF) is of particular note as this will be a first in a building of this type or size in California. ICF’s are energy efficient, measurably improve air quality all while standing the test of time as a building material with longevity. Since the parish envisions Saint Anna to be a comfortable, safe and healthy place for worship and gathering, in addition to the use of ICF, they will also seek to avoid using building products and materials that contain harmful chemicals. The Lionakis design team will help them to prioritize manufacturers and products that utilize sustainable design practices. Stay tuned, more to come in this continuing blog series as the project unfolds.